By 1720 the Scotch ancestors of the Morison brothers whom we celebrate crossed the Atlantic to settle in New Hampshire. There they found a greater measure of political and religious freedom which allowed them to pursue their search for that better way of life they were determined to achieve. John H. Morison, born in Peterborough, New Hampshire in 1808, was a graduate of Harvard College and Divinity School whose distinguished service as a Unitarian minister led to his being honored by Harvard University with the degree of Doctor of Divinity in 1858. Among the later descendants of this long notable family are three twentieth century brothers: Robert, Elting, and John. Each has made a contribution in separate fields of science, technology, and society in relation to practical affairs. Below we explore the life of Elting Elmore Morison. Elting (Harvard, 1932), after leaving the US. Navy at the end of World War II, became a member of the MIT faculty where he edited all the letters and papers of Theodore Roosevelt while teaching at the Sloan School of Management. 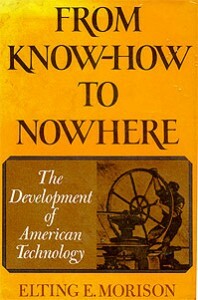 His special field dealt with the relations between technology and society, out of which came two of his widely read books: Men, Machines, and Modern Times and From Know-How to Nowhere. 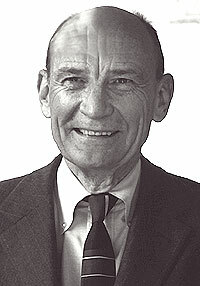 He was a member of the MIT faculty for most of his teaching career, a member of the Lewis Commission in the late 1940’s and was instrumental in the formation of STS (Science Technology and Society). In the words of one of his contemporaries, he became ‘the father of contemporary history of technology.’ He connected machinery and technological invention to social change, to individual imagination, and to politics in a way that has permanently redefined the field. I was born in Milwaukee, Wisconsin, on 14 December 1909. My early years, however, were spent principally in South Milwaukee. to which we moved in 1914. There, in semi-rural surroundings that included a small orchard, a large garden, an attractive big team, a cow and two Shetland ponies, I had, with my two brothers a very pleasant and active childhood. I remember especially: Swimming and picnics on Lake Michigan; tennis on the court my father built beside the house—which we flooded in the winter for a hockey rink; riding, the ponies in summer, and hitching long lines of sleds behind them when the snow came. Perhaps because so much of my later life has been spent in the East, I am especially grateful that l was born in the Middle West, of a mother also born in the Middle West, and that most of my early years were spent in this part of the country. The most significant elements in my education appear to be the weekly conferences, over a three year period, with my tutor at Harvard, the one year I spent in Leverett House, and the Harvard Crimson, where my older brother preceded me and my younger brother followed. Each of them became the President and I was the Editorial Chairman. From the sixteen courses I took to obtain the degree I retain surprisingly little. The next three years, 1932-1935, I taught at two private schools and spent one year in the Harvard Graduate School in history. In June 1935 I married Anne Hitchcock Sims, and we returned to Cambridge in the fall, when I began a two year term as Assistant Dean of Freshmen at Harvard. In 1938, we moved to Peterborough, where for the next four years, in circumstances that appeared then and still do appear perfect to us, I worked on the life of my wife’s father, Admiral W. S. Sims, which was published in 1942 just before I entered the U.S. Navy. During the war I was, for one year, on the staff of the Commander, Eastern Sea Frontier, and for three years in the Office of the Chief of Naval Operations. This latter duty, on the staff of Admiral Frederick J. Home, who directed the logistic support of the fleet, was the most instructive and useful experience I have had. After the war we returned—with a family which included a daughter Mary, born in Peterborough in 1941, and a son Nicholas, likewise born in Peterborough in 1943—to Cambridge. In the summer of 1947 daughter Sarah was also born in Peterborough. Our life in Cambridge has been full and satisfying these past five years. Anne has been active in what the Boston Transcript used to call Divers Good Causes, in addition to presiding effectively over a household that, at this writing, includes—besides three active children—a German Shepherd dog, two cats and seven kittens. The ongoing faith in life exhibited by generations of the Morison family is symbolized by their religious home in New Hampshire, the Peterborough Unitarian Church. 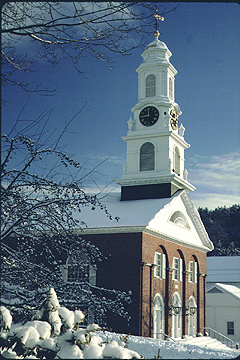 The Unitarian Church in Peterborough, New Hampshire.